The United States Federal Bureau of Investigation provided Congress with "grossly inflated" statistics on the number of electronic devices it has been been unable to access due to encryption, reports The Washington Post. Last year, the FBI claimed to have been locked out of close to 7,800 devices that were connected to crimes, but the actual number of devices that were inaccessible is smaller, closer in scope to between 1,000 and 2,000. The FBI discovered an error in the method used for counting encrypted smartphones last month, and has not yet completed a full internal audit to determine the correct number. "The FBI's initial assessment is that programming errors resulted in significant over-counting of mobile devices reported," the FBI said in a statement Tuesday. The bureau said the problem stemmed from the use of three distinct databases that led to repeated counting of the same phones. Tests of the methodology conducted in April 2016 failed to detect the flaw, according to people familiar with the work. The FBI's inflated numbers are a problem because FBI director Christopher Wray has, at several points in time, used those statistics to warn of the dangers criminals using encryption to "go dark" and evade law enforcement oversight. Back in October, for example, Wray said the inability to access such a large number of encrypted smartphones was a major problem. "To put it mildly, this is a huge, huge problem," said Wray. "It impacts investigations across the board - narcotics, human trafficking, counterterrorism, counterintelligence, gangs, organized crime, child exploitation." In another such speech in January, Wray used the inflated figure to describe encryption as an "urgent public safety issue." "While the FBI and law enforcement happen to be on the front lines of this problem, this is an urgent public safety issue for all of us. Because as horrifying as 7,800 in one year sounds, it's going to be a lot worse in just a couple of years if we don't find a responsible solution." These kinds of statistics have also been used by the FBI to advocate for backdoors into encrypted devices like the iPhone. 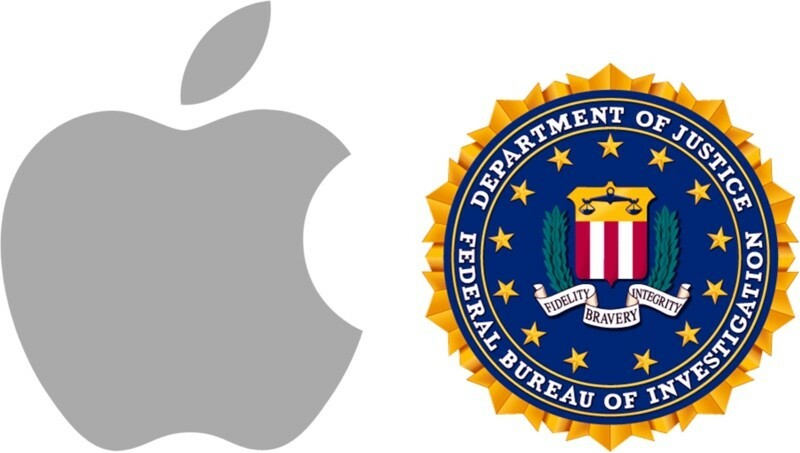 In 2016, for example, Apple and the FBI had now-famous dispute over the iPhone 5c used by San Bernardino shooter Syed Farook. The FBI demanded that Apple create a tool to allow law enforcement officials to disable passcode security features so they could hack into the device, effectively weakening its protection. Apple staunchly refused and argued that such a request could set a "dangerous precedent," a position the company has maintained since then as law enforcement officials have continued to advocate for backdoor device access. Apple, as part of the Reform Government Surveillance coalition, recently released a statement condemning proposals for backdoors into electronic devices, and in March, Apple engineering chief Craig Federighi said that backdoor access would "inject new and dangerous weaknesses into product security." "Weakening security makes no sense when you consider that customers rely on our products to keep their personal information safe, run their businesses or even manage vital infrastructure like power grids and transportation systems," Federighi said. Despite the FBI's error counting the number of encrypted devices it has been unable to access during criminal investigations, the agency maintained that encryption is a "serious problem" in a statement to The Washington Post. "Going Dark remains a serious problem for the FBI, as well as other federal, state, local and international law enforcement partners. ... The FBI will continue pursuing a solution that ensures law enforcement can access evidence of criminal activity with appropriate legal authority." This is like the FBI asking you to not lock your door so they don’t have to kick it in when they are after you. This is what happens without oversight. I am shocked! (I'm not shocked.) Standard M.O. for them. How the mighty have fallen. I’m still glad they’re on our side but distrust in the FBI is only growing. This is just like how they wanted to help trump...not spy on him. Did anyone expect something else? The FBI discovered an error in the method used for counting encrypted smartphones last month, and has not yet completed a full internal audit to determine the correct number. Law enforcement lying? That never happens! I think the FBI is too busy violating attorney-client privileges, shredding documents, and bit bleaching text messages between anti-Trump "agents with benefits" to waste time getting an accurate count on cell phones. Besides, the grossly exaggerated number made their case for backdoors look better. Its funny how all their "mistakes" always seem to benefit their side of the argument. In statistics, when numbers are consistently off in the same direction it is called "bias." Too bad we don't have an Attorney General to provide some adult supervision, this agency desperately needs it. Or we can pay someone to go count them manually and then pay to investigate whether he had a motive to miscount. Then we’ll have another guy count. Then we’ll ask the Democrats if they want to protest our count. Then we’ll check to see if Russia might have paid any of our people to miscount. And then we’ll accuse Republicans of conspiring to alter the count. And then we’ll investigate Trump. Trump will investigate the Democrats. We’ll find out that Hillary deleted the database when nobody was looking, and then Putin will get blamed for the miscount. And Apple will increase security while failing to close the back door. In the end, we’ll determine that it was actually a billion phones, and that Apple refusing to hand over the keys to the back door cost the country 50 trillion dollars in investigation expenses. FBI credibility keeps taking hits lately. We need more oversight of this agency and similar ones in the federal government.